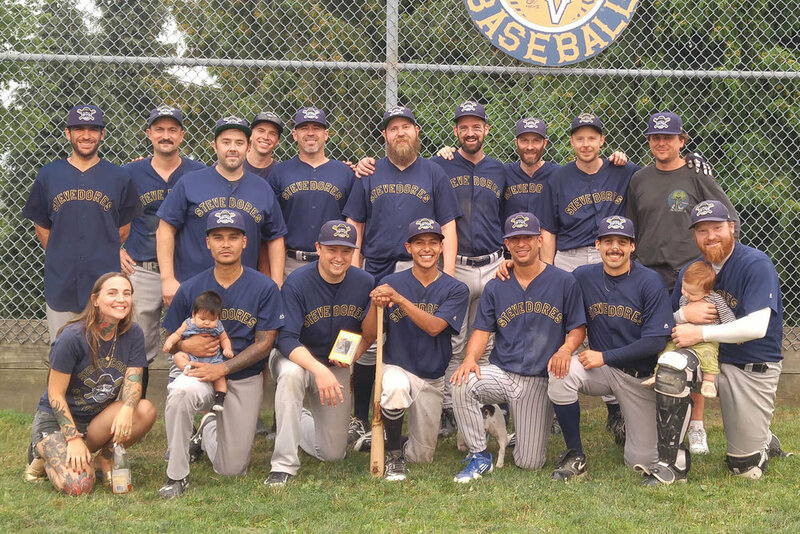 The Strathcona Stevedores defeated The Mt Pleasant Murder 12-5 to claim their first EVBL Championship. The Murder were looking to three-peat as champions. The Stevedores took the lead in the second inning. Ted Phillips grounded out into a double play but still was able to knock in one run. The Stevedores knotted the game up at four in the bottom of the third inning, when Ben Ludwig singled on a 1-0 count, scoring one run. The Stevedores took the lead for good with three runs in the fourth inning. In the fourth Kris Belchamber singled on a 1-2 count, scoring one run and Camil Dumont singled on a 2-1 count, scoring two runs. The Stevedores put up five runs in the sixth inning. Stevedores batters contributing to the big inning included Kris Belchamber, Corben Winfield, and Julio Cuellar, all knocking in runs in the inning. Beto Cuellar led things off on the hill for the Strathcona Stevedores. He went three innings, allowing four runs on six hits and striking out three. Scott Balogh started the game for the Mt Pleasant Murder. He lasted three innings, allowing four hits and four runs while striking out one. Bryan Stebbings and Heath Fenton entered the game as relief, throwing one and one-third innings and one inning respectively. Strathcona Stevedores tallied 11 hits. Daryl Sheepwash, Julio Cuellar, and Kris Belchambereach managed multiple hits for Strathcona Stevedores. Daryl Sheepwash went 3-for-3 at the plate to lead Strathcona Stevedores in hits. The Murder saw the ball well today, racking up ten hits in the game. Bryan Stebbings, Ryan Ruin, Matt Martin, and Garet Robinson each collected multiple hits for the Murder.